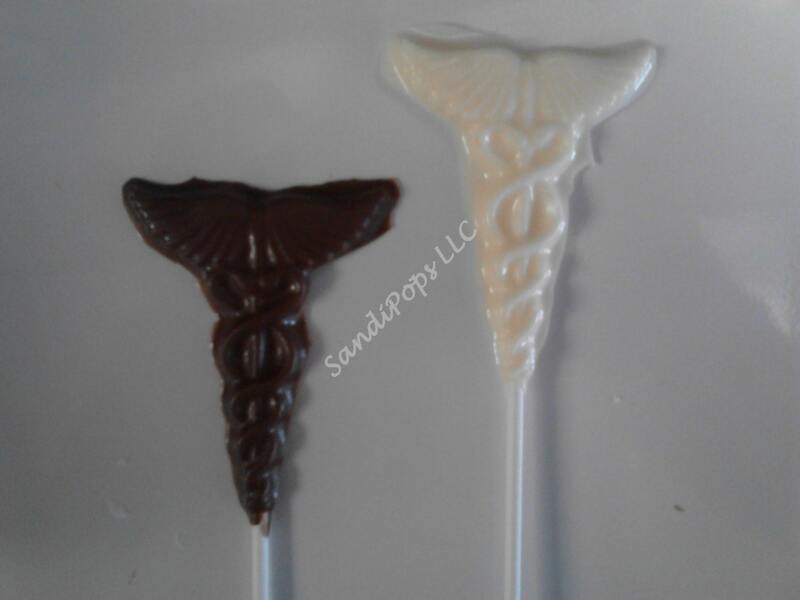 These delicious milk and vanilla chocolate lollipops are made-to-order and will make a perfect addition to your medical event or fundraiser (convo me for special bulk pricing). They can be used as a place setting, seating card, party favor, thank you, centerpiece arranged in a container, or a cake topper. I WILL DISCOUNT A LARGE MEDICAL ORDER. 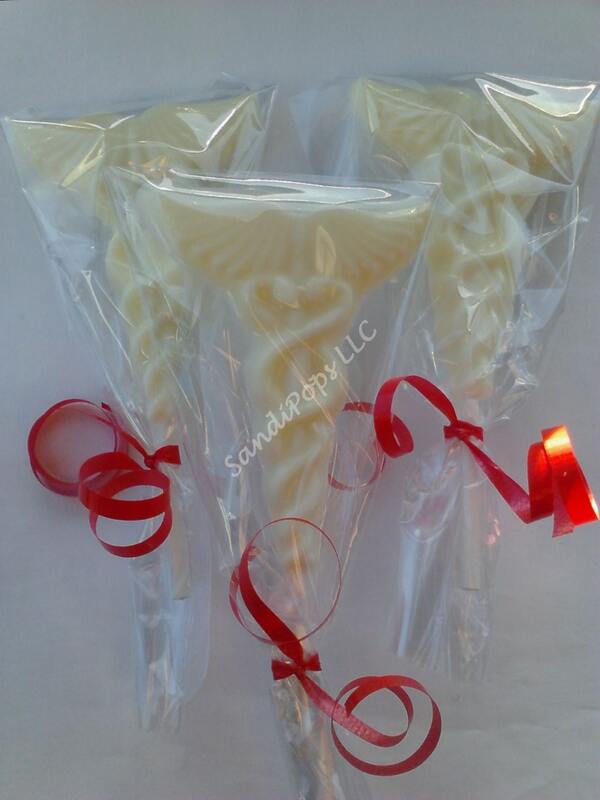 This listing is for 24 lollipops- 12 vanilla white chocolate lollipops and 12 milk chocolate unless you specify colors and quantities. 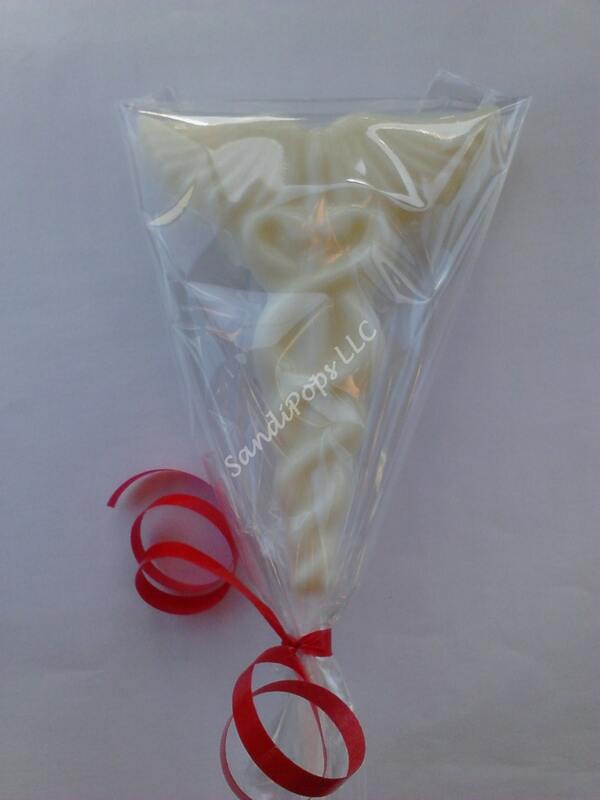 Each lollipop is individually wrapped in a bag and tied with a curled white ribbon. I can certainly make any number of pops you need, convo me for pricing. I can also make any number of any colors you wish to match your event colors. 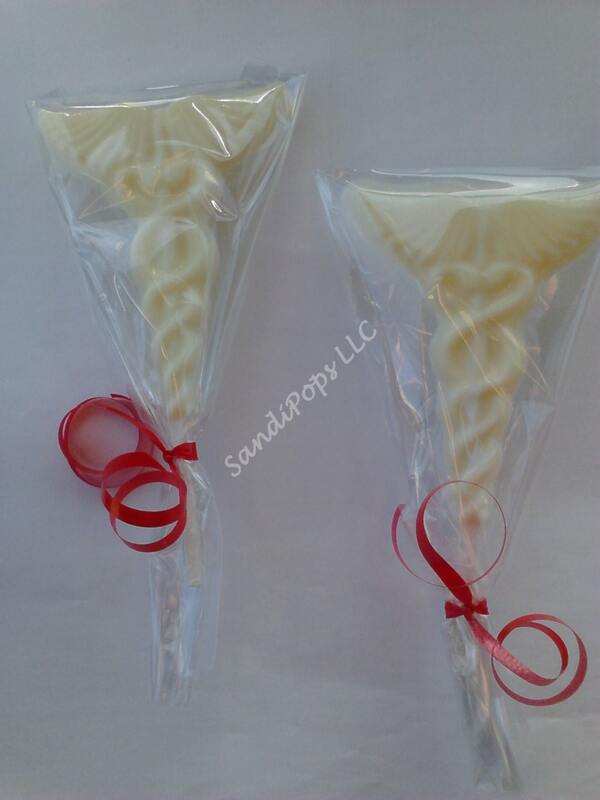 I can also add Thank you tags at an additional cost- $2 per 10 pops.